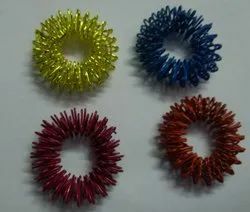 Acupressure sujok massage ring with different colours. Based upon ancient Eastern techniques, the reflex zones on the feet are worked upon. A treatment that balances the energy flow in the body using a hand-picked combination of soothing oils. Limited Training in Acupuncture as technique for their clinical work. On completion of the course and passing an official examination, participants would be able to integrate Acupuncture into their clinical work or specialty. Free service provice by us. This is a special session designed by JitSarg for detoxification and rejuvenation of the body. It is based on the ancient science of marma sthaanam (vital spots of the body), Yoga, Ayurveda, Acupressure, Modern Anatomy and Physiotherapy. It accelerates the benefits of herbal cure and 'JitSarg Shaktipat Yoga' manifold. Acupressure and reflexology energize the nerve centers, as well as improve and balance the functioning of various glands and organs. Reflexology effectively treats stress-related ailments, reduces pain and revitalizes internal organs. 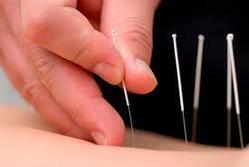 It is also used to treat common disorders such as back pain, digestive problems, migraines, etc. Description : Body Care Massager purifies blood; it cleans away dead cells on the surface layer of the skin, accumulated oil secretions, dirt and perspiration. This enables the pores of sweat and oil glands to open and improves the skin's secretion and breathing. Su Jok TM acupuncture is a practice from the ONNURI TM medicine founded by Professor PARK JAE WOO, a therapist from South Korea. It is an alternative medicine technique, in which pressure is given to the accupoints and it is related to reflexology.